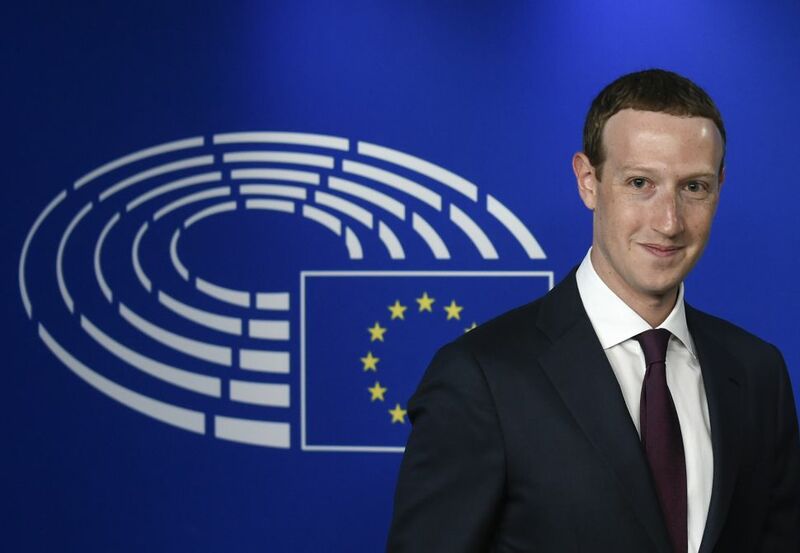 Yesterday, May 22, Mark Zuckerberg was invited to testify in front of the European Parliament, after a livestreaming-or-not drama which followed the announcement by the EP secretariat that the audition would take place behind closed doors and with no cameras in the room… ironic when the main topic was personal online privacy ! One could notice that only the leaders of the political groups, chair of the LIBE Committee Claude Moraes and EP President Antonio Tajani were authorised attended the meeting. However, this did not prevent Facebook’s CEO from answering some tricky questions. Although he insisted on the fact that more than 200 apps were banned from Facebook following the Cambridge Analytica scandal*, Zuckerberg admitted that his company has put too little efforts in protecting personal data of their users. He assured the audience that Facebook would comply with the new GDPR, entering into force this Friday, May 25 (one would say that it is compulsory for any company working on EU territory…) and that he intended to better Artificial Intelligence to stop hate messages on the social media. All in all, the MEPs were quite unsatisfied by the answers Mr. Zuckerberg gave, regretting the format of the hearing, which allowed him to « cherry-pick his responses », while the Greens pointed out at the lack of seriousness in Zuckerberg’s answers to the EP representatives. This debate came amid growing concerns about data protection within the EU, with several cases of misuse of personal data by third entities and private companies. It is very timely for the European Civic Forum, as we will precisely discuss the issue of civil liberties and online surveillance by both States and private actors at the Civil Society Days, to take place on 25 and 25 May in the European Economic and Social Committee. The workshop, organised together with the European Association for the Defence of Human Rights (AEDH) and the Transport, Energy and Information Society section of the EESC, will notably feature Mario Oetheimer from the EU Fundamental Rights Agency, but also EDRi, Yes We Hack and some inputs by Christopher Wylie, the whistleblower who revealed the Cambridge Analytica scandal. *British political consultancy Cambridge Analytica worked on US President Donald Trump’s campaign, and acquired the data of 87 million users, including up to 2.7 million in the EU, via Facebook.